Inspired by the success of Cece Bell’s El Deafo and Raina Telgemeier’s Smile and Sisters, there are some great graphic novels featuring girls this year. Awkward by Svetlana Chmakova. Published by Yen Press. The title says it all. 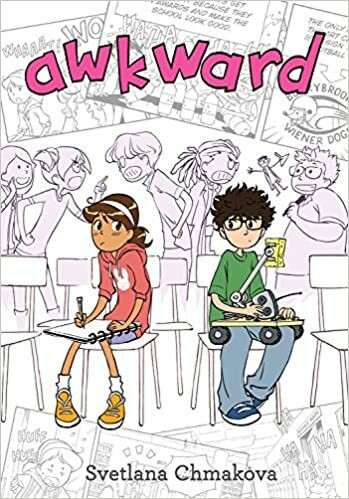 Peppi and Jaime literally run into each other on the first day of middle school, then spend the first half of the book agonizing over how to become friends. Perfectly captures those tough middle school emotions, with a realistically happy ending. 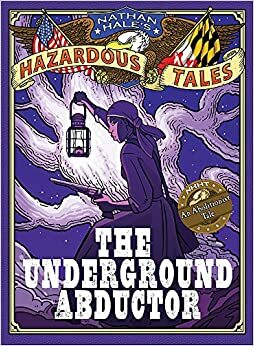 Nathan Hale’s latest Hazardous Tale is girl-powered by Harriet Tubman. The compelling story of the Underground Railroad’s most famous conductor. 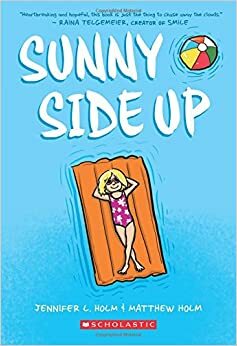 Sunny Side Up by Jennifer Holm, illustrated by Matthew Holm. Published by Graphix. It’s 1976, and Sunny’s unhappy to be suddenly forced to spend the month of August with her grandfather in Florida. Flashback scenes reveal the family crisis that has led to her trip. Brother-and-sister team Jennifer and Matthew Holm team up for this family drama/comedy based on their own childhood experiences. 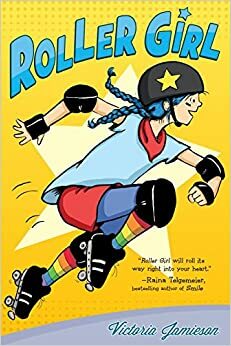 Roller Girl by Victoria Jamieson. Published by Dial Books. 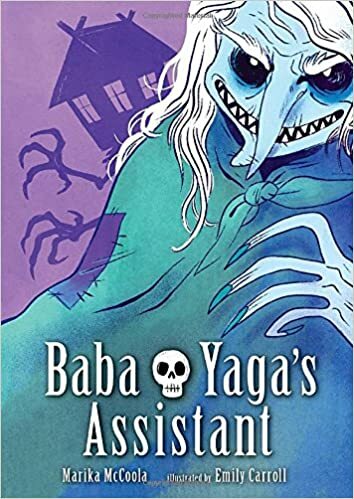 When Masha sees an ad for Baba Yaga’s assistant, she recalls her grandmother’s old stories about the witch and decides to apply. Through skill, luck, and a little magical talent, she manages to prove herself worthy of the job while at the same time healing some of her difficult family relationships. Summary: The Civil War is over, and Gabe wants to find his mama. She was sold by his master when Gabe was so young that all he can remember of her is her smell of jasmine, her good cooking, and the scarf she wore to cover up a scar she received as a punishment for trying to escape. 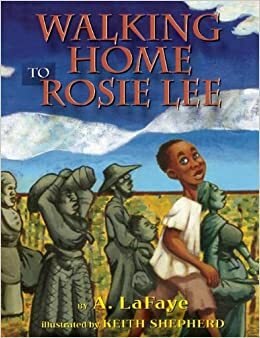 For the first time in his life, Gabe is free to travel away from the plantation where he was a slave, and he sets off to find Mama. For months, he travels through the south, meeting other newly-freed slaves, following leads, and enduring crushing disappointments. One day, he sees a woman setting pies on the windowsill of a hotel, her long scarf trailing behind her. That night, he sleeps snuggled against his mama, hoping other boys will be as fortunate as he has been. Ages 8-12. Pros: Told in Gabe’s distinctive voice (“Had me thinner than a leaf with the sorrow of it”), this story fills a gap in historical fiction picture books with its narrative about Reconstruction. The author’s note tells how Gabe’s story is representative of many newly freed slaves who sought to reunite with loved ones. Cons: The history of the Civil War and the Emancipation Proclamation aren’t told here, so kids will need some background to understand Gabe’s story. Summary: George has a boy’s body, but she’s always felt she is a girl. She has a secret stash of magazines like Seventeen that she pores over to learn more about girls’ clothes, makeup, and lifestyles. Her fourth grade class is doing a play of Charlotte’s Web, and more than anything, George wants the part of Charlotte. Coached by her best friend Kelly, George decides to try out for Charlotte, but her teacher takes her audition as a joke and instead gives the part to Kelly. As a result of this painful experience, George finally comes out to Kelly, who hatches a plan to allow George to be Charlotte in one of the performances. Reactions to George in this clearly feminine role are mixed, but strong, and ultimately lead to a greater understanding of George by her mother and older brother. 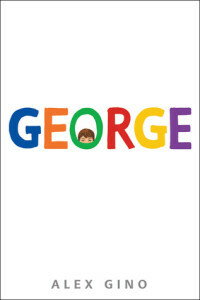 While there are no easy answers for George, the book ends on a hopeful note. Grades 4-7. Pros: Whatever a reader’s views on transgender kids, this book makes a powerful statement about the importance of gender to personal identity, and how narrow society’s definition is on what is masculine and feminine. George would make an interesting read for educators trying to create schools that are safe and comfortable for all students. Cons: George addresses a controversial topic, and there will undoubtedly be those who feel it doesn’t belong in an elementary classroom or library. Summary: A boy makes a list of his fears: monsters, ghosts, witches, and trolls. While reluctant to tell them to his two dogs at first, eventually he shares them one by one. For each, one of the dogs attempts to debunk the fear (ghosts are scared of dogs; how bad can witches be if they’re cooking food in their cauldron?). Eventually, the boy moves beyond his list to his cousin, the school crossing guard, and the ultimate: the dark. Even the dogs are afraid of the dark, but the boy reassures them and finds a simple solution for handling that fear. In the end, the list is put to rest, and everyone goes off for a dog biscuit or two. Ages 3-7. Pros: Readers will relate to many of these fears, and appreciate the light-hearted ways they are dealt with. Most of the story is told in appealing cartoon-bubble dialog. Cons: Despite the dog’s claims, I’m pretty sure trolls do exist. Summary: Ruby has kept a big secret for many years: when she was five, her mother was arrested and sentenced to 20-25 years in jail. Since then, Ruby has lived with her aunt and gone to visit her mother in prison every weekend. She’s kept her distance from other kids because she doesn’t want them to know about her mom. 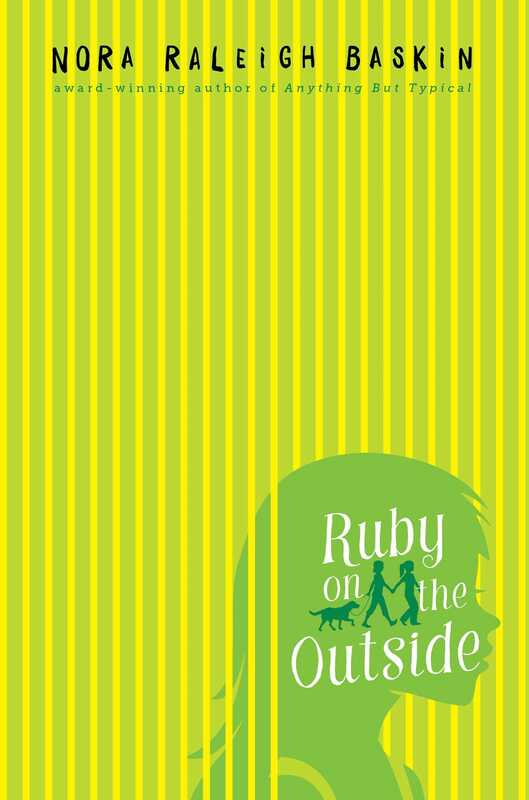 The summer before middle school, Margalit moves into Ruby’s condo complex, and the two girls quickly become friends. Just as Ruby is about to reveal the truth to Margalit, she learns that Margalit’s brother may have been the victim of Ruby’s mother’s crime. Can Ruby risk being honest with her friend? Grades 4-6. Pros: This book takes a sensitive look at an issue not often addressed in children’s literature. Readers will take Ruby to heart as she navigates the difficult issues life has dealt her. Her mother is portrayed sympathetically, but Ruby still struggles with anger, hurt, and a sense of loss. The realities of life in prison and what it’s like to visit a loved one there are described unflinchingly. Cons: The emotional issues occasionally slow down the action a bit. 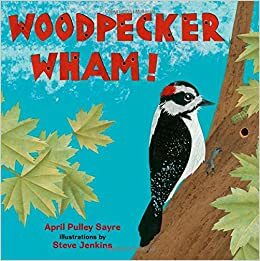 Summary: Brief rhyming text describes what woodpeckers do, including eating, grooming, nest building, and reproducing. Colorful cut-paper illustrations provide detailed pictures of different types of woodpeckers. The final seven pages contain much more information about the topics covered in the main part of the book, including how to find woodpeckers and additional resources for learning more. Preschool-Grade 3. Pros: Award-winning writer April Pulley Sayre teams up with the equally-decorated Steve Jenkins to produce an eye-catching and informative picture book. The additional information at the end is complete enough for a beginning research report. Cons: Regular readers of this blog may begin to weary of my incessant praise of Steve Jenkins’ amazing illustrations. Summary: Francine Poulet is a third-generation animal control officer who has yet to back down from any animal that needs controlling. Until one night when she’s called in to catch a ghostly raccoon on a roof and gets the first fright of her life. After a fall off the roof results in a lengthy hospital stay, Francine decides she’s not cut out to be an animal control officer after all, and gets a job at a bait and tackle shop. Fortunately, a young boy named Frank comes into the store one day and encourages Francine to try again with the raccoon, which has now taken up residence on a roof on Deckawoo Drive. 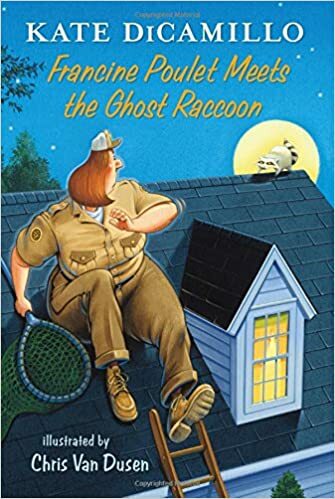 Francine musters her wits, climbs up the house, and overcomes her fear to stare down the raccoon and eventually snare it in her animal control net. She is back and better than ever. Grades 1-3. Pros: Fans of Kate DiCamillo’s Mercy Watson series will recognize several characters in this new Deckawoo Drive series (this book is the second installment). 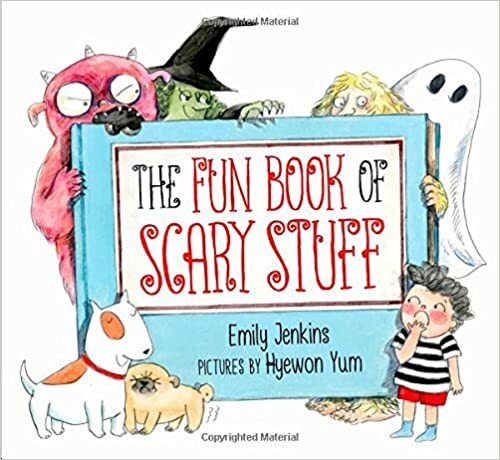 The crazy situations, goofy characters, and slapstick illustrations combine to make this lots of fun for beginning chapter book readers. Cons: Some of the sophisticated vocabulary and humor may be a bit over the average eight-year-old’s head.